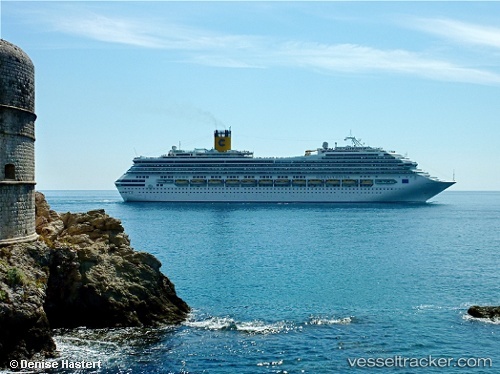 Costa Cruises is to carry out a major €8 million (US$ 9.3 million) renovation onboard Costa Fortuna ahead of her return to Europe in March 2019. The 3,470-guest Costa Fortuna, which is currently operating in Asia, will enter dry dock in Singapore on 16 December 2018 and be fitted with upgraded public areas, suites and guest services before leaving on 26 February 2019. Laura Stuardo who fell from her cabin balcony on the "Costa Fortuna" on July 19, could neither confirm nor deny having jumped, as she was in a coma after being rescued. After the Italian 53-year-old has woken up, and she said she did not try to commit suicide, prompting authorities to open an attempted murder investigation Stuardo told the police she and her abusive boyfriend went on the cruise in an attempt to repair their relationship, but argued in their cabin shortly before her fall. A surveillance camera captured Stuardo hanging from the balcony for a few seconds before she fell over the railing. After several operations in Oslo, she was flown to Turin still in a coma. Her boyfriend Giovanni Pia, 55, initially told police Stuardo jumped despite his unsuccessful attempt to stop her. Police have not officially named Pia a suspect.